Money means more than bank balances and spreadsheets. I can help you lead a richer, fuller life by helping you reveal and articulate your most profound aspirations. I'll help you navigate through obstacles and show you how you can put in place the financial architecture to achieve your vision. The Life Planning process involves a series of deep, open and honest conversations and exercises that enable us to collaborate in the creation of a vibrant and complete plan for your future. I'm amongst a small number of individuals in the UK who have undergone intensive training and mentorship through the Kinder Institute. 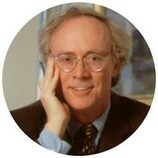 Financial Life Planning is a new holistic approach to personal finance which began by US-based George Kinder. Life planning is not about products – it's a process which involves honest, deep and open conversations with you to explore and discover your unique aspirations. It uncovers what you most profoundly want to accomplish or attain to feel that you have lived a rich and fulfilling life. By asking these deeper questions, it becomes apparent that it's not material things that most people want – it’s often more about simplifying our lives, spending more quality time with family, achieving greater authenticity at work or making time for creative projects that ignite passion and inspiration. For many of us, our deeper pas sions are often closely guarded, with fears, shame, and self-imposed limitations holding us back. A Financial Life Planner has been trained to work with you in a collaborative way to help you articulate and unleash a powerful vision for what you most profoundly want from life. Obstacles are addressed creatively together, and a plan is put in place to build the financial architecture to support your dreams. You become totally invigorated, focussed and motivated to take the action needed. Wise Monkey has now joined the Life Planning movement. 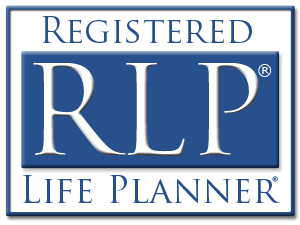 Having completed my Life Planning training in September 2010, I then went on to complete a six-month mentorship programme in July 2011 and I'm now one of about 60 Registered Life Planners® (RLPs®) in the UK. I've worked with a wide range of clients using this process, with some incredible (sometimes life-changing) results. It’s helped free some of my clients from the pursuit of more money or possessions to fill their lives. With others, it's eased their anxieties and allowed them to truly connect to their deeper dreams and aspirations. Here’s one client’s story showing how I integrated Life Planning into their work, and the affect it has had on her life. And another client who has fully funded three years of a scholorship programme she helped create with the University of Brighton on the back of the work we did together. For more information on Life Planning, visit the Life Planning for You website. Read my own Life Planning journey. Listen to my interview at the Life Planning Teleconference in July 2013. "The Life Planning process has been one of the most inspirational and valuable things I have ever done"
"I've never felt greater clarity about my goals and my vocation, and who I am"